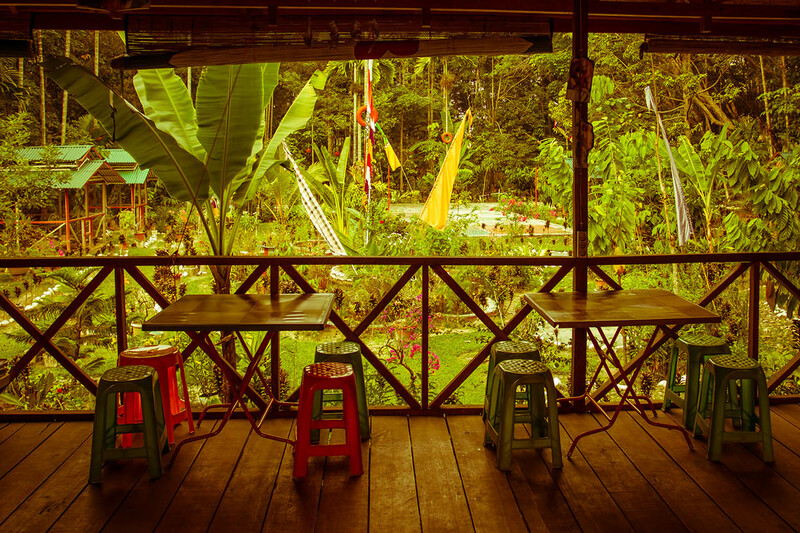 In a small river town called Bukit Lawang in Sumatra we came across a beautiful and peaceful orphanage. 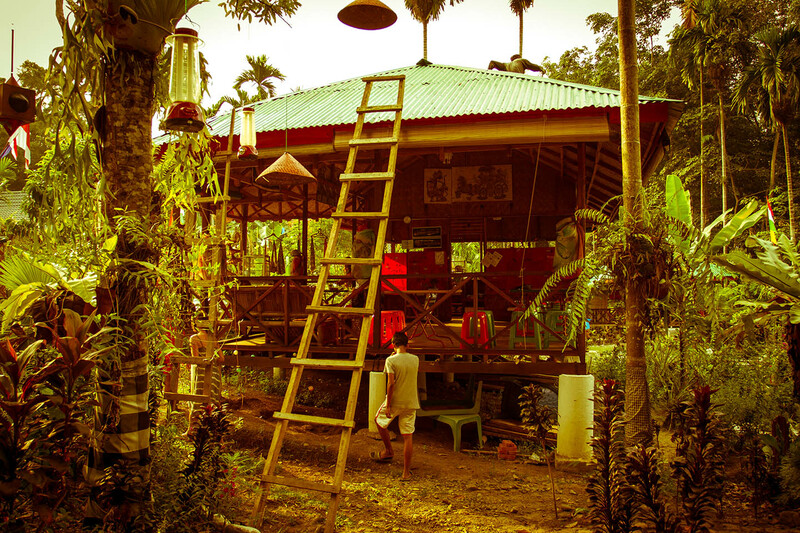 Just out of town towards the jungle a dutch woman and her husband from Sumatra established a place full of love and care. On our way to that batcaves we've found this beautiful orphanage. Already the entrance of the orphanage is welcoming and full of warmth. 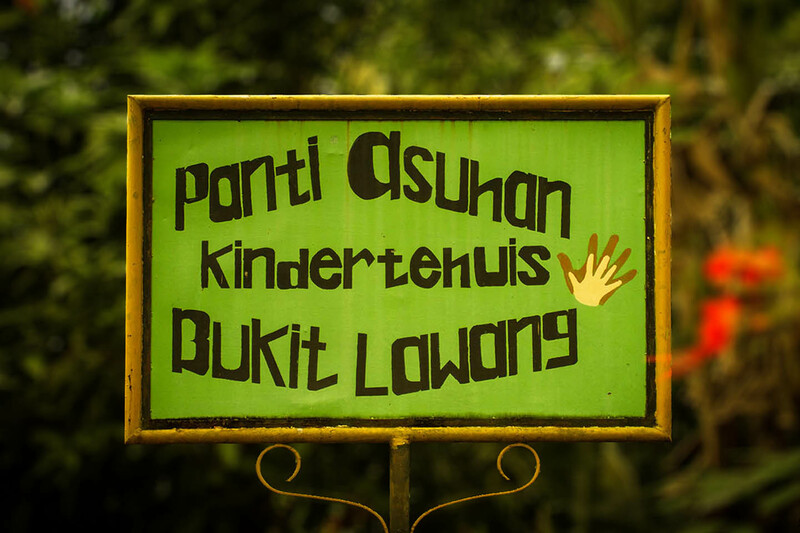 It's a place which around 13 children can call their home today. 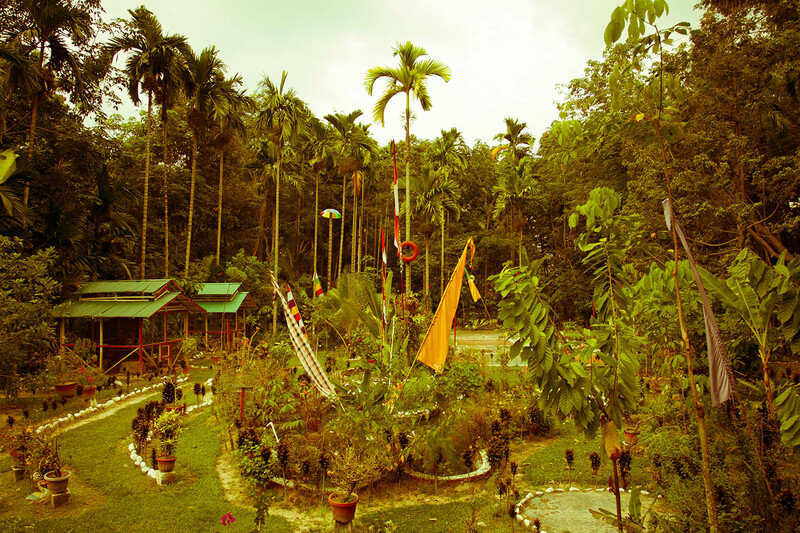 During a devastating flood, that occured on the 2th november 2003, over 239 people died in Bukit Lawang. Children lost their parents, the whole village has been destroyed and a lot of people remained homeless. For Sugianto and Saskia Landman that was the beginning of a long journey. They knew something had to be done, but it took them until 2007 before they could open their orphanage. After a few years of work in the Netherlands, they finally could found their organization and affiliate over 50 homeless children. Meanwhile 32 children have completed their schooling and found a job. Another 10 children found their future with the help of the dutch-indonesian couple as well. Beside a home and free education, the children achieve life skills and encouragement in their creative development. Every child has to fulfill its own daily task, as it is to take care of the garden, of the animals or the little vegetable and fruit plantation. Now you might be wondering how they can finance themselves for such a long time and for so many people? They try to be independant as much as possible. Of course they are happy for every single donation they can get, but it's a big risk just to count on foreign money. 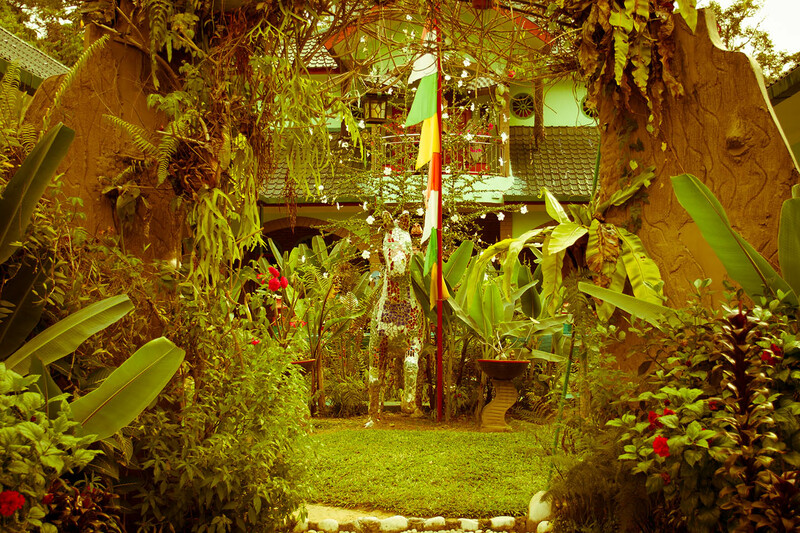 They grow their own fruits and vegetables, raise chicken and fish, build up a little restaurant for tourists, offer Wi-Fi in exchange for a donation, sell souvenirs, rent-out bungalows and run a rubber-tree-saving-plan. The rubber-tree-saving-plan is a project to save the jungle in its primary stage, ensure the employement of several people of the village and cover the monthly costs of the orphanage and the education fees for the children. Till 2015 the Indonesian government is supporting people to buy natural pieces of jungle that were used for rubber-tree-plantations, destroy them and replace the natural environment with palmoil trees. Because of the rising prices for land it is getting more and more expensive to maintain and expand rubber-tree plantations that are in accordance with nature. 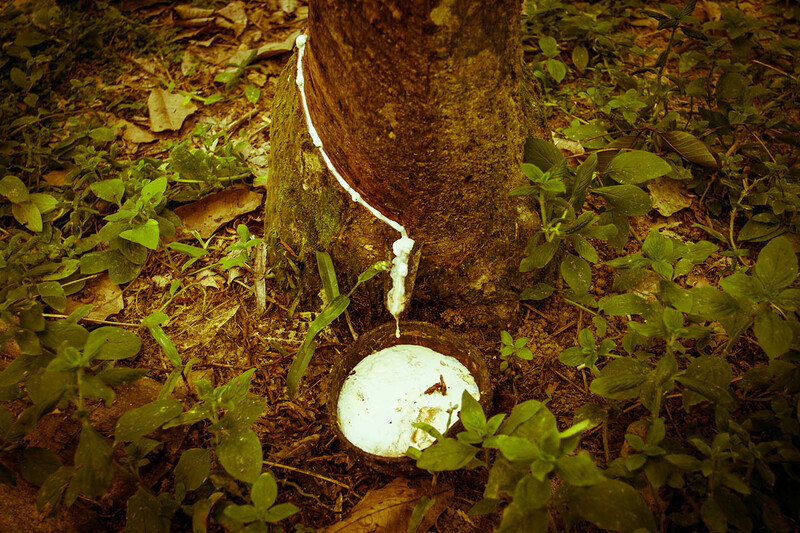 The rubber-tree-saving-plan is still in its infancy and needs your help. For further information you can visit the orphanages website. During my travels I have seen quite a few orphanages , but none of them was run with so much love, inspiration and care. If you are interested to see the orphanage by yourself - go for it! If you want to help, don't hesitate to contact them. They will love to hear from you.